I never planned to be a blogger. Although gradually gaining respect as a viable vocation, blogging isn’t exactly a high-profile career, especially when you are first starting out. I decided to start blogging for a few different reasons. First, I wanted a platform for sharing and exploring the ideas I was wrestling with. 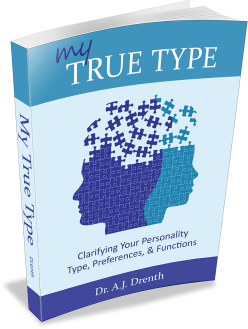 While I had long planned to write a book about personality types, things weren’t coming together in the way that I hoped. 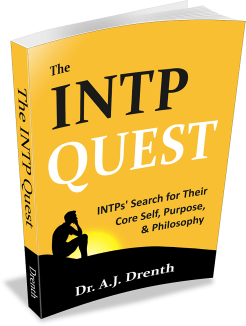 When an INTJ friend suggested I consider blogging as an alternative, I, being the strong-minded INTP that I am, balked at first. The notion of freely distributing the ideas I had worked so hard to develop was hard for me to accept. Blogging also seemed less prestigious than writing a book. But my friend gently (or maybe not so gently, he’s an INTJ) reminded me that many bloggers eventually end up publishing books, especially e-books, so there was no reason to fret. One of the more attractive features of blogging is it grants complete freedom and creative control. Having always been a self-directed individual and learner, the challenge of building a blog from the ground-up (and doing it my way) was of great appeal. As my friend suggested, blogging also carries potential for monetizing your passion. I realized that if I could develop an audience of interested readers through blogging, that they might support my work through donations or e-book purchases. I also love the variety of challenges and learning opportunities presented by running a blog. Blogging requires “learning a little about everything.” This includes things such as web design, marketing, social networking, and search engine optimization. If you’re a “do-it-yourself” type of person with a knack for handling new challenges, blogging can be a lot of fun (even if occasionally frustrating). Whatever topic(s) you know best or are interested in exploring or promoting. As I mentioned earlier, I was planning to publish a personality book in 2011, but opted instead to start disseminating the material through this blog. This allowed me to establish an audience and further refine my ideas before I began publishing e-books in 2013. 2. How difficult is it to set-up and maintain a blog? The initial set-up process is fairly simple. Depending on what platform you choose, there is a bit of a learning curve to familiarize yourself with how everything works. If you plan to blog simply for leisure, you can start posting within an hour or two. 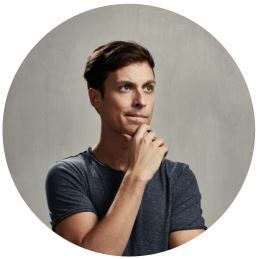 If you hope to monetize your blog, however, you will want to spend more time upfront learning about things like keyword research (such as with Google’s free keyword planner) and Search Engine Optimization (SEO) strategies. What you choose to name your blog, as well as your URL / domain name (e.g., personalityjunkie.com), is also quite important. While no blogger knows everything upfront, it helps to acquire basic SEO knowledge to inform your decisions about your blog’s name, URL, etc. 3. 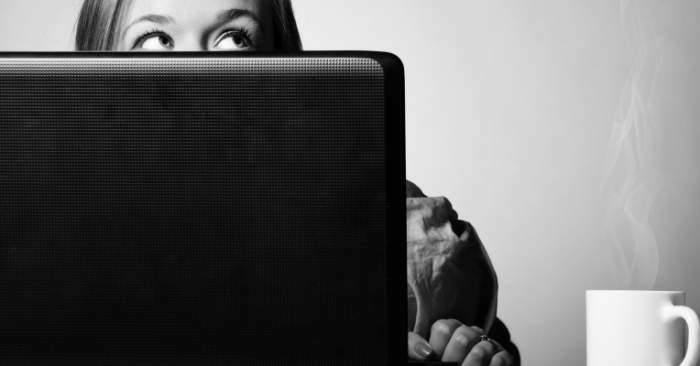 How much does it cost to operate a blog? Blogging is downright cheap to start off with. Most blogging platforms (e.g., WordPress) have a free version, so the only cost might involve purchasing your own customized URL / domain name (usually about $12 a year). Once you have built enough of an audience to start monetizing your blog, it is relatively easy to transfer from a free platform (e.g., wordpress.com) to a self-hosted platform (e.g., wordpress.org). If you’d rather avoid the hassle of transferring the blog, you can start with a self-hosted platform upfront. Self-hosting requires you to pay for a web hosting service, such as Bluehost,* which is not terribly expensive, often less than $5/month. After a great deal of research, I chose Bluehost to furnish my URL/domain name and web hosting services, as well as the world’s most popular blog platform, WordPress. If you sign-up for Bluehost, they have an icon for a free download of WordPress in their dashboard. Bluehost is a reliable, affordable, and versatile “one-stop shop” for any blogger. 4. How does a blogger make money? Hosting third-party advertisements on your website, such as through Google Adsense. Regardless of the approach you take, you must first grow your audience by providing high-quality content. You must also find ways of getting people to your blog in the first place. This may include the use of things like Search Engine Optimization (SEO), social media, paid advertising, or email marketing. See my “Recommending Tools” section below for more on this. 5. What is a blogger’s earning potential? There are no hard and fast rules with respect to a blogger’s earning potential. In some respects, earning potential is limited by one’s particular market. A blog that succeeds in a high-dollar industry (e.g., pharmaceuticals) will have more earning potential than one in a lower-dollar market. Of course, high-dollar markets also have more competition! With that said, it is not unreasonable to suggest that, given enough talent, knowledge, and hard work (and some degree of good fortune), a person can make at least a respectable part-time income as a blogger within 5-10 years. WordPress is the most popular blogging platform and for good reason. It is open-source, user-friendly, and optimized for SEO. Whenever you have questions (which you naturally will), the answer is typically easy to find with a simple Google search. There are two versions of WordPress: wordpress.com (the free version hosted by WordPress) and wordpress.org (also free, but you have to pay for your own hosting as I discussed above). Serious bloggers will eventually end up using wordpress.org, which gives one far more control and has no limits on monetization (wordpress.com may have restrictions on monetization and advertisements). If you opt for wordpress.org, you will need to choose a web hosting service for your site. If you have ever researched web hosts, you will undoubtedly find dissatisfied or disgruntled customers with any of them. After spending ample time considering pricing and other factors, I selected Bluehost for hosting Personality Junkie (by the way, you can host multiple blogs on a single Bluehost account without affecting the price). Bluehost is always updating their technology, providing plenty of resources for even the highest-traffic websites. After many years with Bluehost, I have been happy with the quality, reliability, versatility, and affordability of their services. A “theme” provides the “look and feel” of your blog, while also contributing to its functionality and SEO. Although WordPress offers many available free themes from various sources, you can also purchase WordPress-compatible themes from outside sources. The top theme contenders among professional bloggers are themes by Thesis/DIY and Genesis/Studiopress, both of which are very fast-loading, SEO friendly, and regularly updated to reflect current technology (This, by the way, is very important. You don’t want to buy and spend time customizing a theme, only to discover that the designer/company never updates it.). I personally use and have been very pleased with Genesis/Studiopress. One of the big things these days is using a “mobile-responsive” theme. A responsive theme automatically adjusts its size to fit the screen on any device, preventing mobile and tablet users from having to constantly “pinch and drag.” I am currently using Studiopress’s mobile-responsive Outreach theme (the design of which I have tweaked to my own liking), which I love. Themes typically require a one-time, upfront cost. I paid about $80 for my theme and am entitled to lifetime support and updates from the team at Studiopress. Not a bad deal in my view. If you plan to sell e-books or other products online, you will not only need a payment processor (e.g., Paypal), but also a service that stores and automatically delivers your products with every sale. I personally use SendOwl to manage my eBook sales. It sports a clean and modern design, is reliable, affordable, and easy to use, readily integrates with Paypal and Stripe, is optimized for conversions, and makes it easy to sell digital products from my own website. Often called an “email list,” email subscriptions give you instant access to your readership, allowing you to inform them of all your blog’s new content and promotions. Personality Junkie now has over 70,000 subscribers, which means that every time we publish a new post or e-book, 70,000 folks can be quickly notified by email! An email list makes you less dependent on the search engines (which are notoriously finicky) to bring traffic to your blog. Probably the easiest way to start is by signing-up with Mailchimp, which is completely free up to 2,000 subscribers. You might also try a WordPress plugin called Mailpoet, which I currently use and love, in combination with Amazon Simple Email Service (see this how-to guide). There is a bit more set-up involved, however, which is why you might be better off starting with Mailchimp, allowing you to focus your blogging efforts on other matters. You can always transfer your subscribers to a different email service later on. *Disclosure: I have an affiliate account with Bluehost. It will prove useful to me when I am done with my studies. I really appreciate this information – thank you! Thank you for your time, generosity and the quality info. Very INTP of you. How do taxes work for income generated through a blog? Does it fit in the self-employed category? This is pretty much me. I am a good writer, however anything I might write about (on a personal blog) is covered elsewhere, most often by people who are far more knowledgeable than I. Thus, I am of the opinion that anything I’d add would merely be more ‘digital noise’ on the Internet, and I don’t write to ‘hear myself speak.’ Thus, I find no strong draw or passion (I hate that word) to write. In some ways, I’m an anti-INTP in that I don’t mind being an employee, because I’ve tried the entrepreneurship route and hated it. That said, I do want autonomy in the job I do have. Yes, I am conflicted. >>I am a good writer, however anything I might write about (on a personal blog) is covered elsewhere, most often by people who are far more knowledgeable than I. When I teach, I find it useful to try to say things in different ways, even if I am essentially saying the same thing. I also will have a student who I can tell get’s it, explain it. Multiple viewpoints are valuable. Furthering this point, many times I am so grateful when I research a topic, that many people have addressed it. Sometimes a second or third covering of the topic will give something so simple as an alternate keyword. So as a teacher and a learner, I find multiple coverings of the same topic useful. 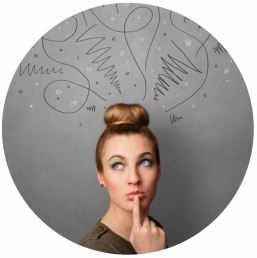 How are you qualified to know if you are qualified or not? Let success or failure qualify you. A little empirical data wouldn’t hurt your theories. You might even have fun. You can start for free. Nothing to lose except some time. Dang TimW…just finished reading AJ’s blog and randomly scanned a couple of comments and landed on yours. 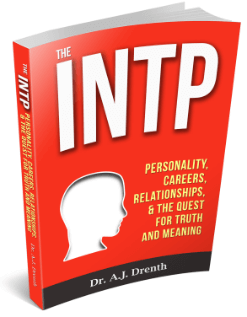 I am an INTP and have never in my life (I am 53) met a-n-y-o-n-e else save me who hates the word passion. No need for clarification, elaboration, or probing questions. Exactly what you mean is what I know. Incidentally, I think it is the overuse of the word passion that annoys me. I think it should be reserved for something extraordinarily special. I also hate the fact that pop culture has taken the word “epic” hostage too.